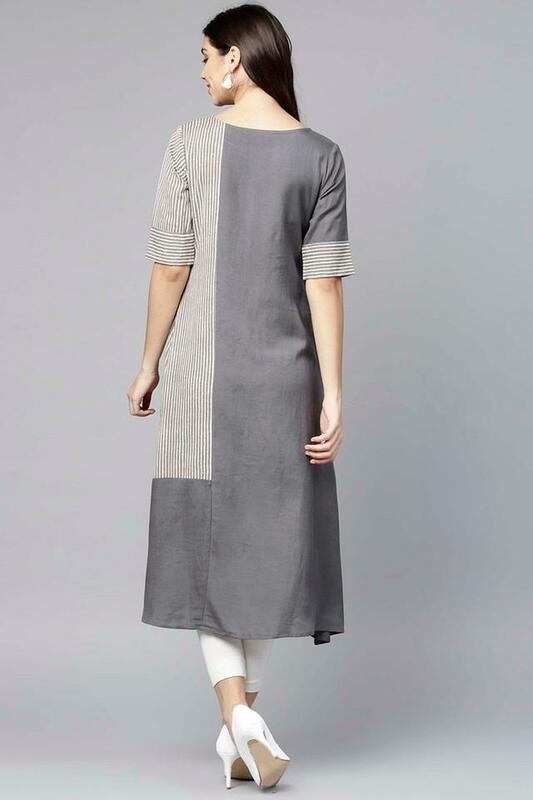 Look the epitome of femininity and grace in this gorgeous kurta from the famous brand, Varanga. It features an appealing print pattern and half sleeves that add to its look. Besides, it is crafted from a good quality cotton blended fabric that will ensure that you indulge in sheer comfort all through the day.